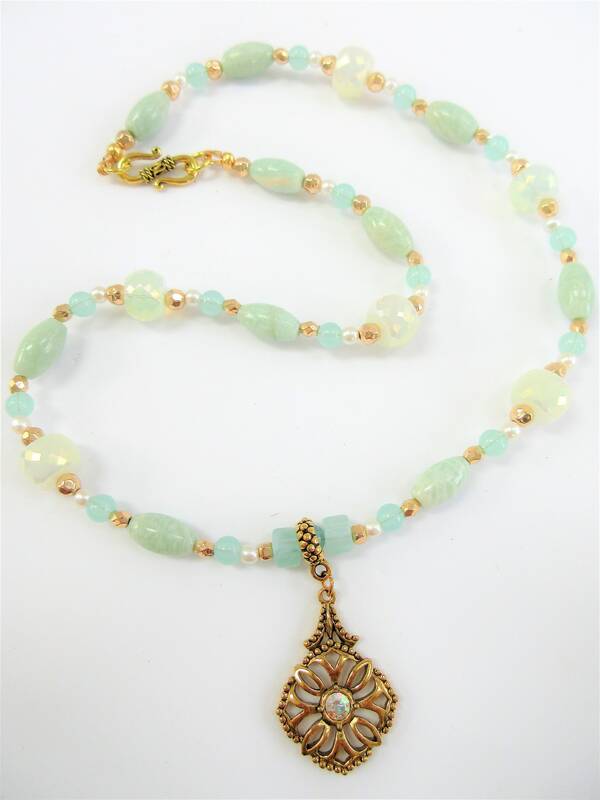 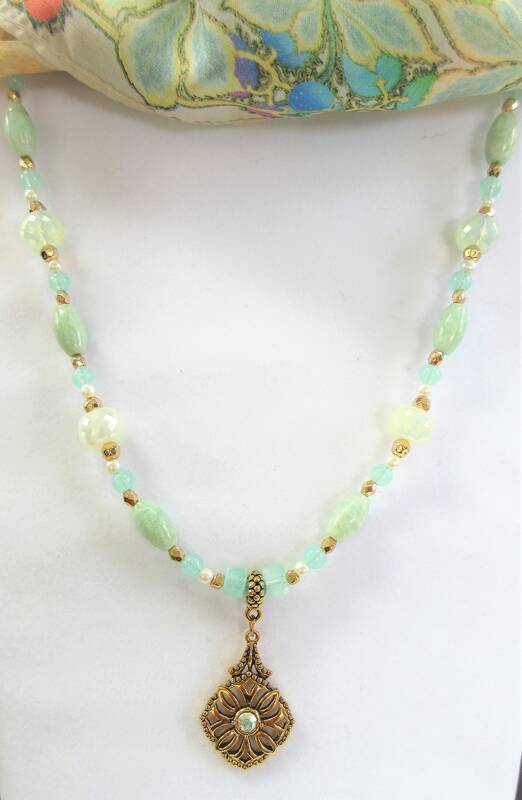 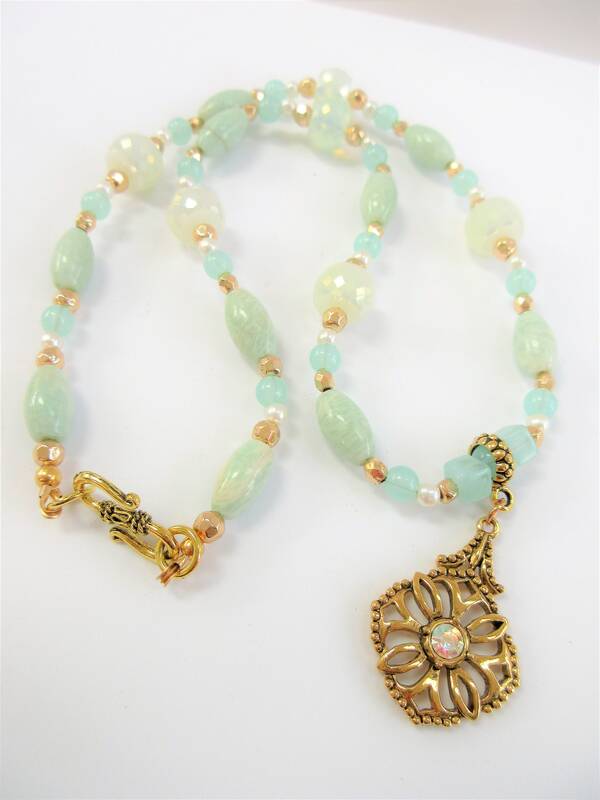 Exotic 22 inch bead necklace,attached gold pendant drop,Sea green aventurine oval beads,pearls, gold balls, faceted opalized beads,gold hook. 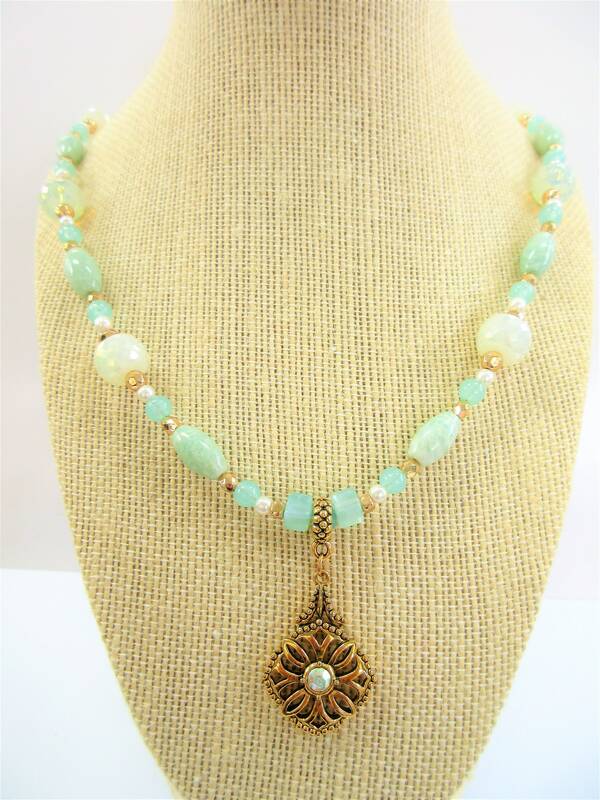 I used materials from all through the studio to make this look. 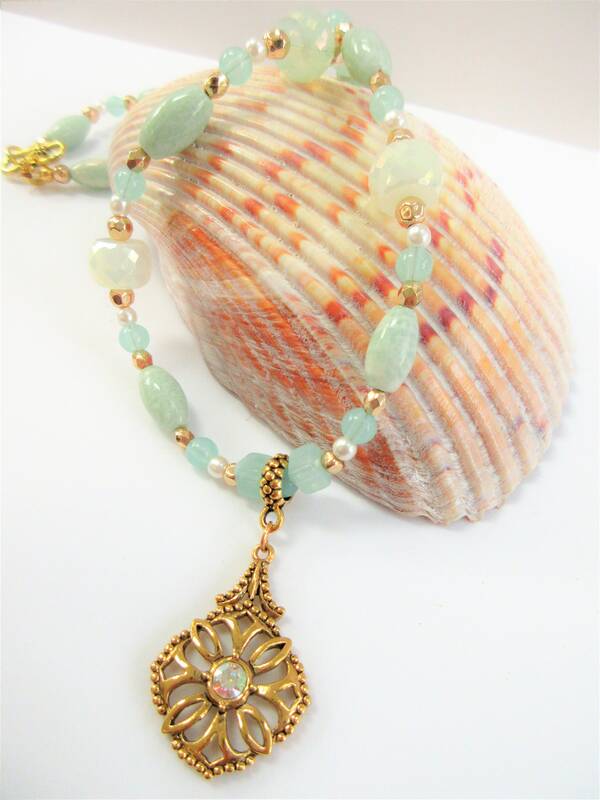 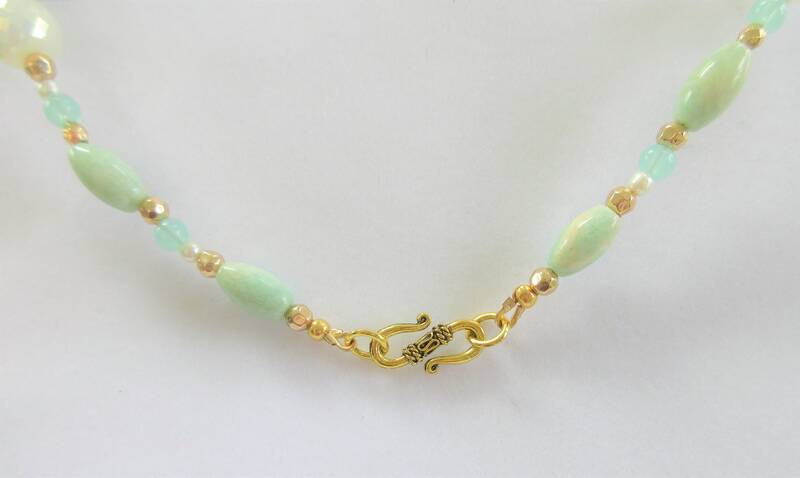 The gold beads,sea green aventurine quartz beads, gold ear hooks and wiring are new. 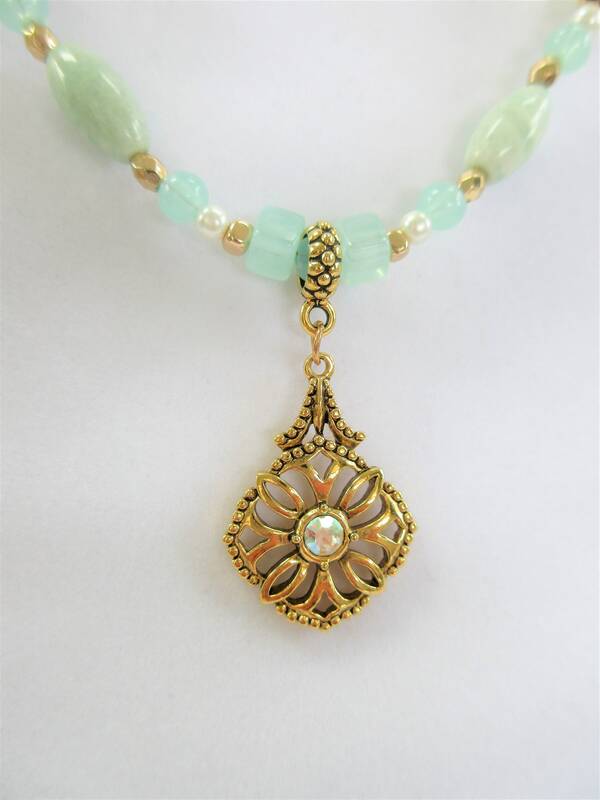 The pendant is a vintage pendant with aurora crystal, sturdy design. 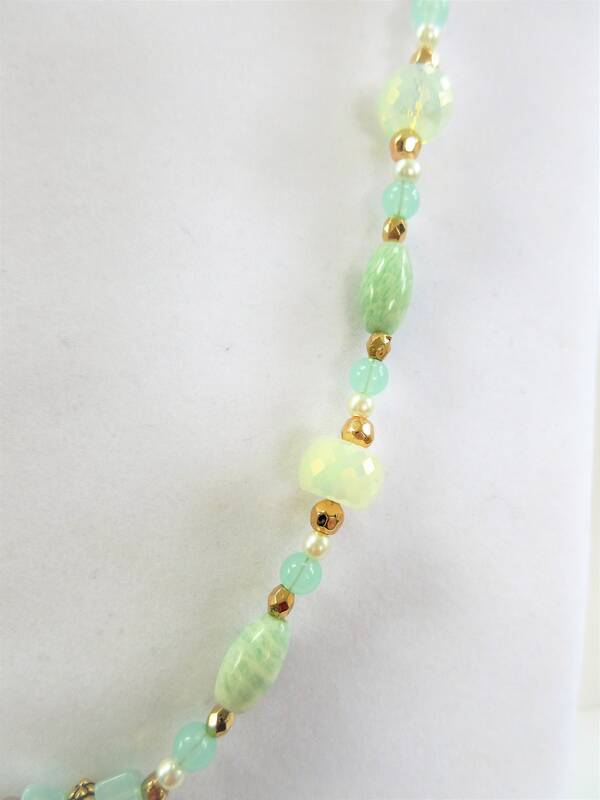 I have beads left over for matching earrings bracelet if interested. 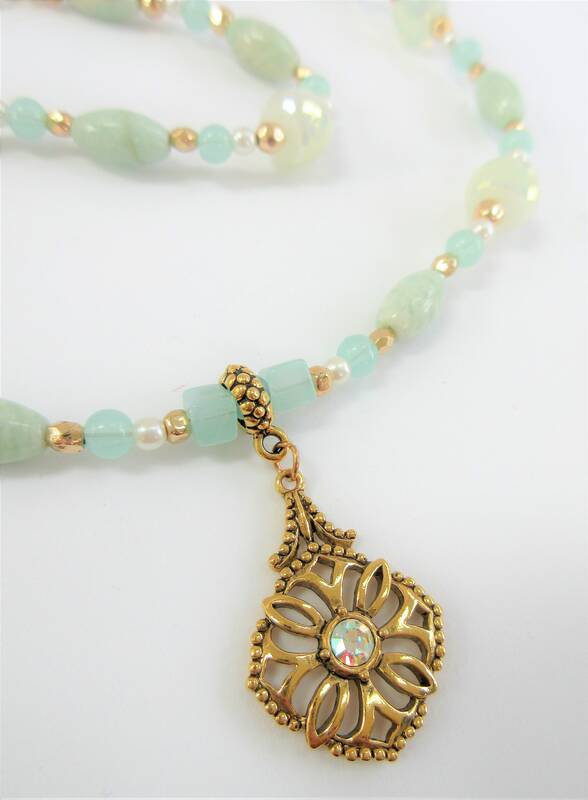 So pretty and sparkling, one of a kind, just like you.